The 1006NT Drill features large end wheels designed for unmatched ground gauging in rugged terrain. 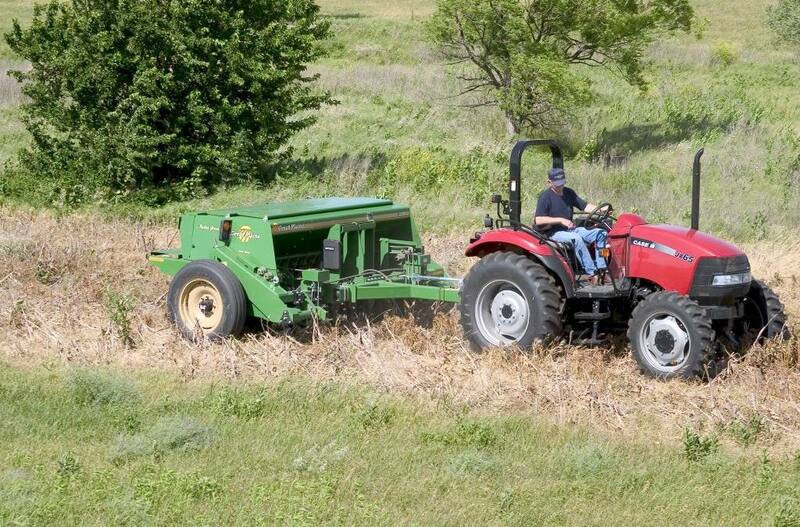 In addition, the inline end wheels minimize sideloading on contours and side-hills, dramatically extending the life of the no-till openers. 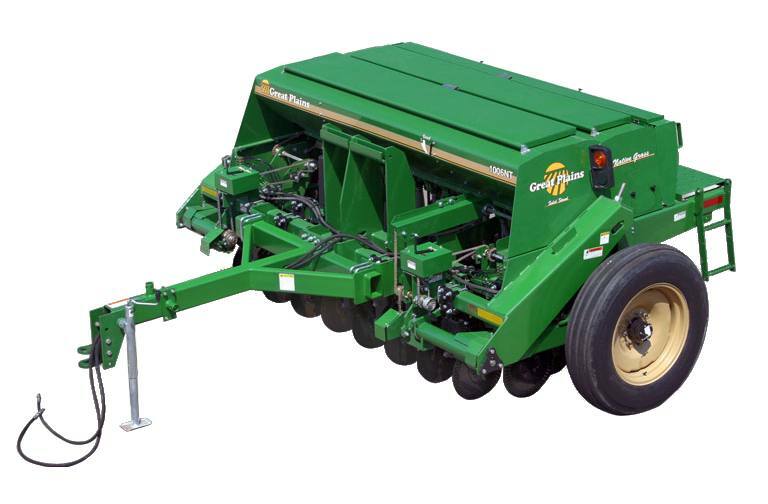 Other features include 4-speed gearboxes, automatic clutch that disengages when the drill is lifted, and rain-tight lids for maximum seed and fertilizer protection. With multiple box options, its versatility is unmatched as well. 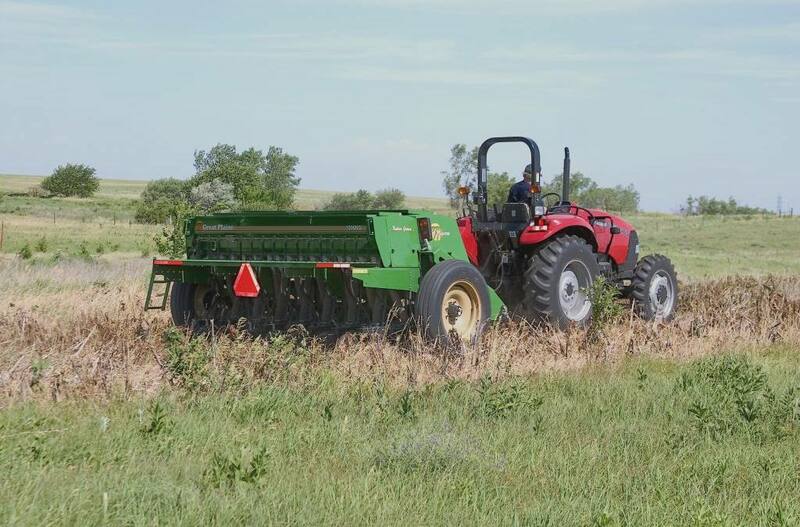 Standard Weight Brackets: Add standard tractor weights to the weight brackets for even better penetration in tough no-till conditions. Lock-Out Hubs: Disengages all drive components, reducing wear and tear during transport. Calibration Crank: Conveniently calibrate the machine to only put on the desired amount of seed. Main Box Capacity: 23.75 bu. Small Seed Box: 2.4 bu. Native Grass Box: 10 bu. 2nd Main Box: 10 bu. Main Box Capacity: 25 bu. ; Small Seed Box: 2.4 bu. ; Native Grass Box: 10 bu.